Polyominos: Seven Blocks of Tetris. 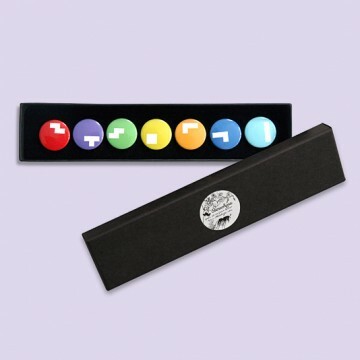 Seven badges by Matthew Kenyon from Stereohype's B.I.O. (By Invitation Only) Series 14. Single badge SKUs: B0959B14, B0960B14, B0961B14, B0962B14, B0963B14, B0964B14, B0965B14.